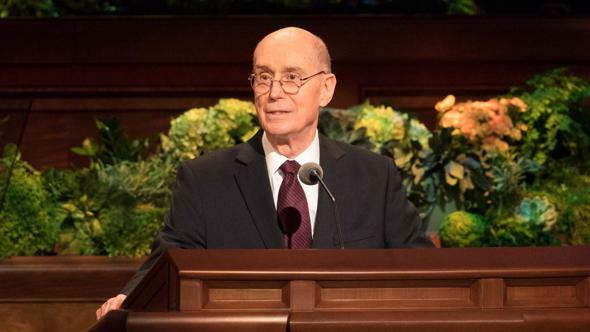 The priesthood does not have the strength that it should have and will not have until the power of the priesthood is firmly fixed in the families. I speak to the fathers of the families and to families everywhere in the Church. During those years of correlation, the whole operating face of the Church was changed. The entire curriculum was restructured. The objectives and relationships of the organizations one to another were redefined. The key word during those years of correlation and restructuring was priesthood. 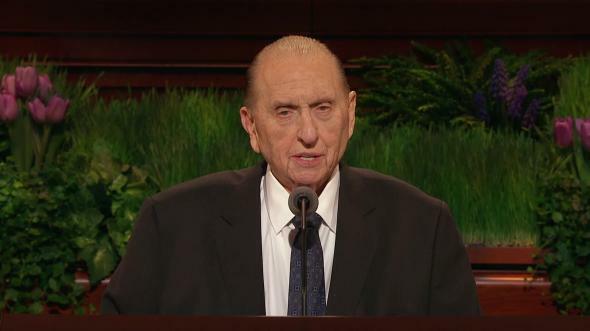 President Monson also spoke of Gideon, a hero in the Old Testament. Gideon was chosen to lead the armies of Israel, thousands strong. But of them all, he chose only 300 men. We live in a day of “wars [and] rumors of wars, and earthquakes in divers places.”3 As prophesied, “the whole earth [is] in commotion”4 and “Satan is abroad in the land.”5 He seeks to destroy all that is good and righteous.6 He is Lucifer, who was cast out of the presence of God.7 Against all of that, we have very positive feelings about what lies ahead. It has never been easy to live the gospel of Jesus Christ. 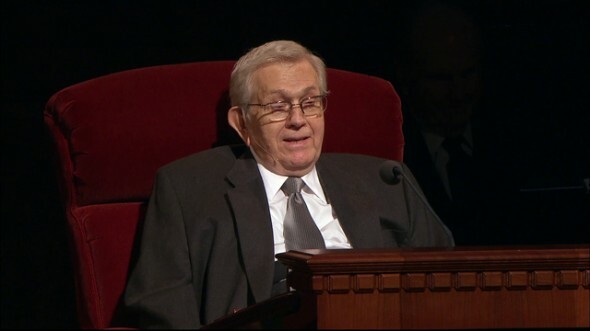 It was not easy when He lived, and it was not easy in the early days of the Church. The early Saints were subjected to unspeakable suffering and opposition. 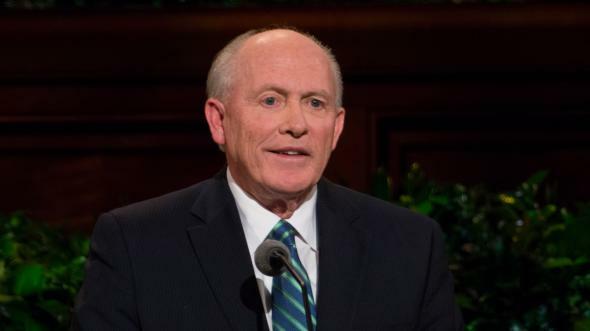 It has been over 180 years since the priesthood was restored. We now number nearly 14 million members. Even so, we are a tiny fraction when compared to the billions of people on earth. But we are who we are, and we know what we know, and we are to go forth and preach the gospel. We can and in due time certainly will influence all of humanity. It will be known who we are and why we are. It might seem hopeless; it is monumentally difficult; but it is not only possible but certain that we will win the battle against Satan. Priesthood is the authority and the power which God has granted to men on earth to act for Him.23 When priesthood authority is exercised properly, priesthood bearers do what He would do if He were present. Another time I was in a distant city. After a conference we were ordaining and setting apart leaders. 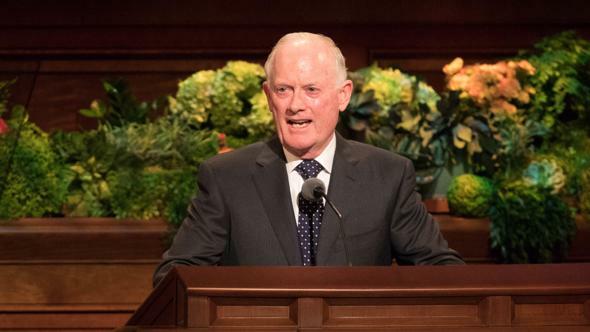 As we concluded, the stake president asked, “Can we ordain a young man to be an elder who is leaving for the mission field?” The answer, of course, was yes. As the young man came forward, he motioned for three brethren to follow and stand in for his ordination. Then the father came forward. 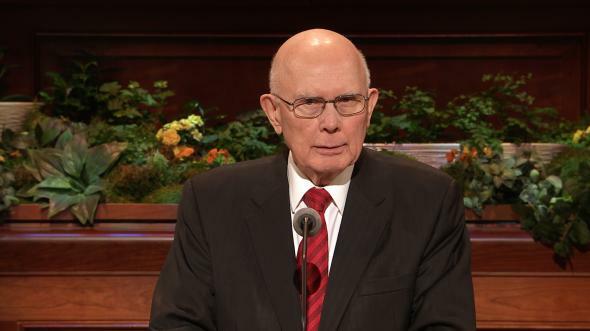 Thank goodness he was an elder. Had he not been, he soon could have been! In the military they would call that a battlefield commission. Sometimes such things are done in the Church. The father did not know how to ordain his son. I put my arm around him and coached him through the ordinance. When he was finished, the young man was an elder. Then something wonderful happened. Completely changed, the father and son embraced. It was obvious that had never happened before. Think how much more was accomplished than if another had ordained him, even an Apostle. While the priesthood is presently all over the world, we call on every elder and high priest, every holder of the priesthood to stand, like Gideon’s small but powerful force of 300, in his own place. 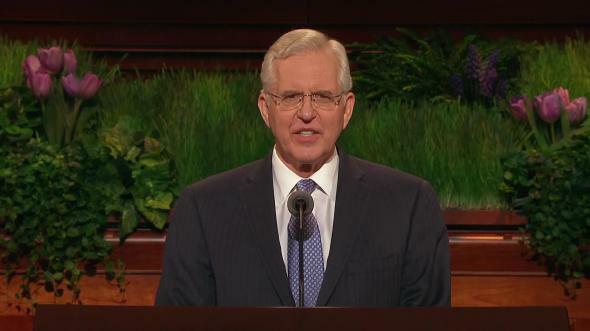 We now must awaken in every elder and high priest, in every quorum and group, and in the father of every home the power of the priesthood of the Almighty. We need everyone. The tired or worn out or lazy and even those who are bound down with guilt must be restored through repentance and forgiveness. Too many of our priesthood brethren are living below their privileges and the Lord’s expectations. We must go forward, confident of the supernal power of the priesthood. It is a source of strength and encouragement to know who we are and what we have and what we must do in the work of the Almighty. Homes without the priesthood are to be watched over and ministered to by the quorums of the priesthood. In this manner no blessings will be found wanting in any dwelling within the Church. Years ago a family gathered at the bedside of an aged little Danish woman. Among them was her middle-aged, wayward son. For the past number of years he had been living at home. The little mother looked up at her son and in her broken Danish accent said, “But ver is yo powah?”—where is your power? That the work of the Lord will prevail is not a question. That we must marshal all of our efforts and unify ourselves are givens. The authority of the priesthood is with us. After all that we have correlated and organized, it is now our responsibility to activate the power of the priesthood in the Church. Authority in the priesthood comes by way of ordination; power in the priesthood comes through faithful and obedient living in honoring covenants. It is increased by exercising and using the priesthood in righteousness. Now, fathers, I would remind you of the sacred nature of your calling. You have the power of the priesthood directly from the Lord to protect your home. There will be times when all that stands as a shield between your family and the adversary’s mischief will be that power. You will receive direction from the Lord by way of the gift of the Holy Ghost. The adversary is not actively disturbing our Church meetings—perhaps only occasionally. By and large we are free to assemble as we wish without much disruption. But he and those who follow him are persistent in attacking the home and the family. I bear witness of the power of the priesthood given to the Church to protect us and guide us. And because we have that, we have no fear of the future. Fear is the opposite of faith. We move forward, certain that the Lord will watch over us, particularly in the family. Of Him I bear witness in the name of Jesus Christ, amen. Thomas S. Monson, “Correlation Brings Blessings,” Relief Society Magazine, Apr. 1967, 247. Mormon 8:30; see also Doctrine and Covenants 45:26; Joseph Smith—Matthew 1:23, 28. 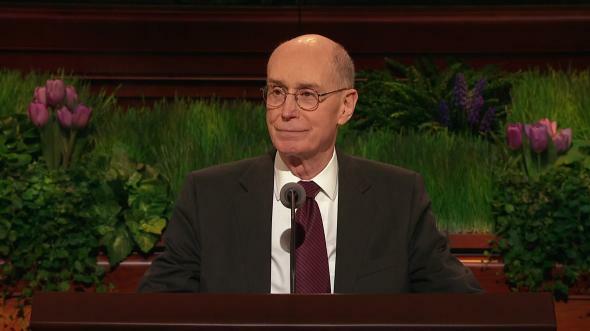 Doctrine and Covenants 45:26; see also Doctrine and Covenants 88:91. See Doctrine and Covenants 10:22–23. See Revelation 12:7–9; Doctrine and Covenants 29:36–37; 76:25–26. See Joseph Smith—History 1:33–34, 59. See Book of Mormon introduction; Doctrine and Covenants 135:3. See Doctrine and Covenants 27:12–13. See Doctrine and Covenants 107:2–4; see also Hebrews 7:1–4; Alma 13:15. See Doctrine and Covenants 42:58. Joseph Fielding Smith, in Conference Report, Oct. 1968, 123. 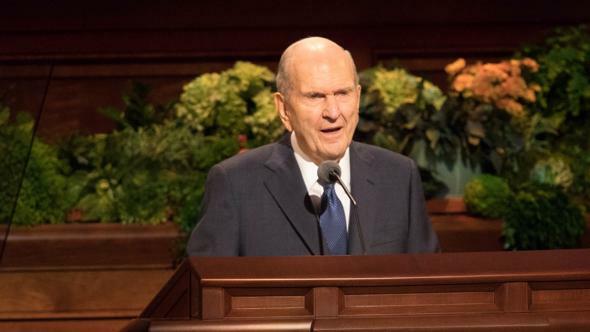 See Boyd K. Packer, “What Every Elder Should Know—and Every Sister as Well: A Primer on Principles of Priesthood Government,” Tambuli, Nov. 1994, 15–24; Ensign, Feb. 1993, 7–13. 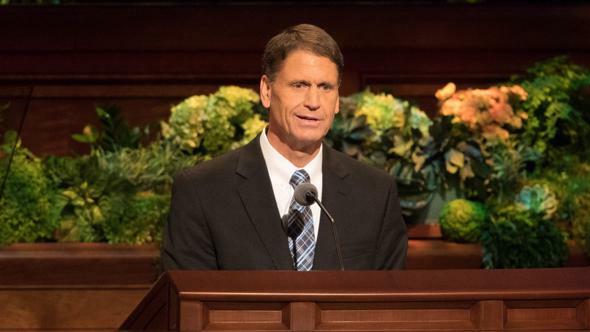 See Teachings of Presidents of the Church: Joseph F. Smith (1998), 141; Joseph Smith Translation, Genesis 14:28–31, in Bible appendix. Harold B. Lee, “Preparing Our Youth,” Ensign, Mar. 1971, 3; emphasis added.